Budget Blinds have provided a superb range of high quality blinds to both domestic and commercial customers in Bolton for over 20 years. They have built an excellent reputation as one Bolton's best options for affordable made-to-measure blinds, having one of the widest selections available in the area. Customers can choose from over 750 different fabrics in a range of styles. And now, with Winter upon us and the dark nights drawing in, they have added a new range to their product line. So, if you're looking to add some style and sunshine to your home this season, why not choose the new faux wood venetian blinds from Budget Blinds? Venetian blinds evoke connotations of glamour, of chic bedrooms and stylish sun-rooms. With these faux wood venetian's, you can have all of that without the astronomical prices. And, as they are made out of PVC, they're also ideal for kitchens and bathrooms, meaning the style can sweep from room to room. The PVC makes them easy to clean and moisture resistant, meaning they'll not only look great, but they'll continue to do so in any room and for a long time. They're also flame retardant. And, as it's Budget Blinds, quality is absolutely guaranteed from start to finish. Guaranteed. And did I mention guaranteed? 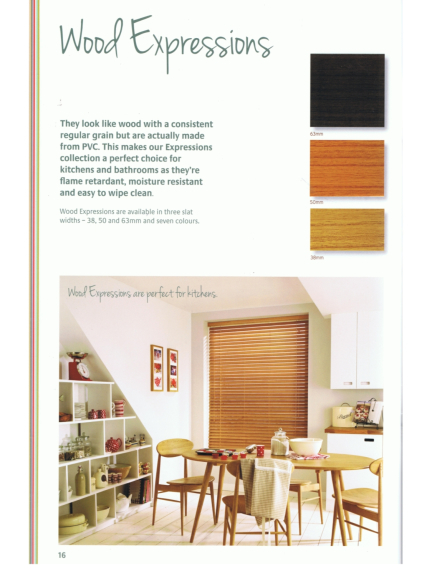 The blinds are available with 3 different slat sizes, and come in seven ccolours that are bang on trend and are set to be so for a long time to come: Snow, Rustic Oak, Medium oak, Haze, Cinder, Chiffon and Autumn Gold. So, if you want to make a small change to your home which will make a radical difference, get in touch with Budget Blinds now. They're an excellent company who always produce excellent results.